In 2018, I was interviewed for Science of Mind Magazine. This is the full article, which was printed in July 2018. There was a time in Rausch’s life when she couldn’t remember how joy felt. Like many adult survivors of childhood abuse, she struggled with depression and alcohol addiction. “I didn’t believe I deserved to live,” she reflects. It was there, in the shadows of what she calls her “dark night of the soul,” that she made a discovery that would forever transform not only her life but the lives of countless others by giving them a way to reconnect with the spark of divine creativity that lives inside all of us. What Rausch discovered was an ancient art form that has been used for millennia in cultures worldwide as a tool for spiritual growth, creativity, and physical and emotional healing. The mandala, whose name is derived from the Sanskrit word mandra, meaning “circle,” is considered in Buddhism and Hinduism to be a circular representation of the soul’s journey in the world. Mandalas, traditionally created during meditation, serve as a metaphor for the soul’s discovery while contemplating the meaning of life. 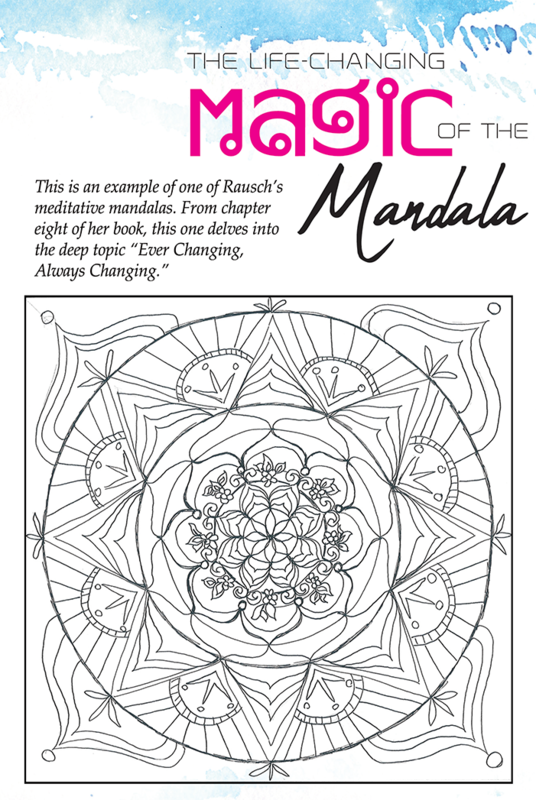 Rausch, like the famous psychologist Carl Jung, believes that the mandala is a window into the soul – an external portrayal of the artist’s inner life. 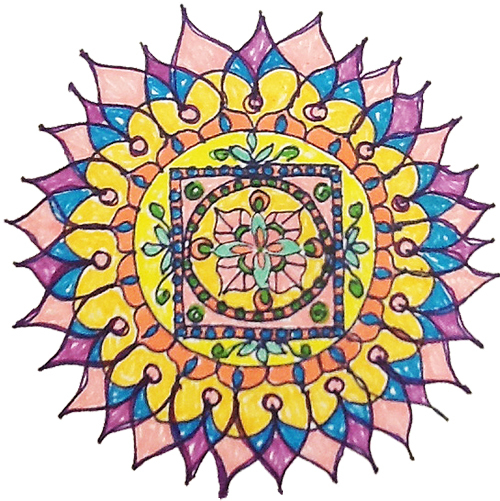 One explanation for the healing power of the mandala comes from its very design. Composed of sacred geometry — the same geometrical patterns found in all of creation, including human DNA — it is a circular matrix with a center point, a point from which all things are possible. From this sacred center comes forth unlimited potential. 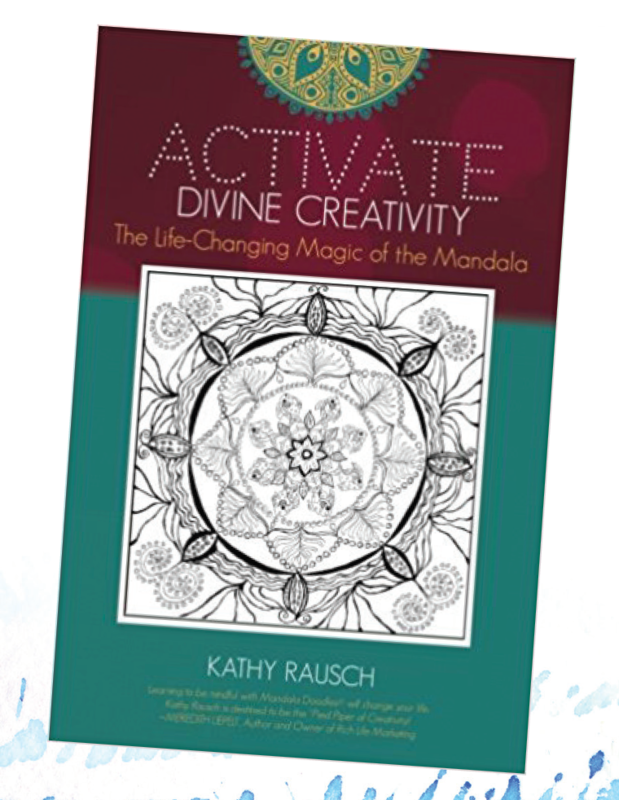 It was in learning to draw mandalas that Rausch began to realize her own divine perfection and rewrite the stories and beliefs that had controlled her life’s experience for so long. The mandala, she notes, is a mirror of life itself. “Your creation, like that of nature, will be flawed, but that is what makes it unique and fully authentic in its perfection. 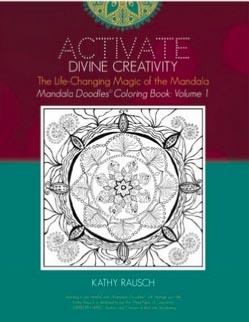 Since she first began creating mandalas nearly 20 years ago, Rausch has written a book and created a companion coloring book, taught numerous seminars, and shown her artwork throughout the United States and around the world, all with the intention of helping others reignite the spark of creativity within and bring balance and joy into their lives in powerful, meaningful and lasting ways. Shared with permission from Science of Mind Magazine.